Barcamp Ratanakiri returns this year to promote the fields of education, tourism, technology and entrepreneurship. Held at the ASEAN Bridge International School, the event will gather the likes of seasoned experts, innovative entrepreneurs, civil society leaders and business owners to share their experience on their fields of expertise. With over 20 speakers from Phnom Penh and Ratanakiri, participants will have the opportunity to hone their skills and expand their knowledge through learning more about technology, tourism and business. BarCamp Ratanakiri 2016 will host a multitude of activities, from exhibitions to product demonstrations and discussions. 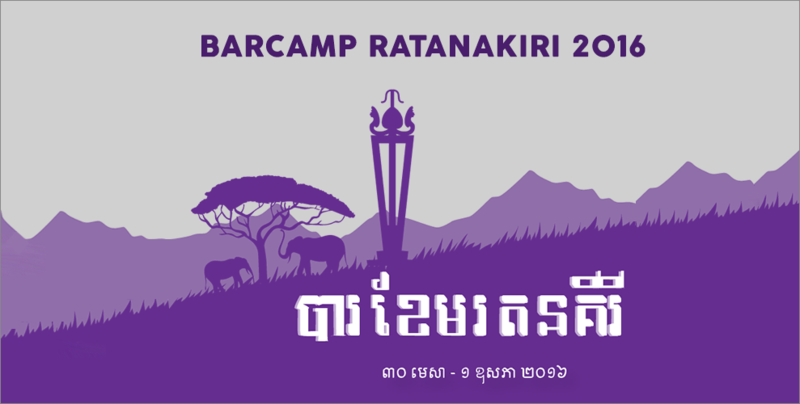 This year’s BarCamp Ratanakiri will be held on April 30 to May 1, from 8am to 5pm. BarCamp is largest annual social event that focuses on technology in Cambodia, with over 400 participants attending last year’s BarCamp Ratanakiri. Participation is free of charge. For registration and more information, visit BarCamp Cambodia.